5758 ESS GUATEMALA (1950) Tecun Uman monument*. 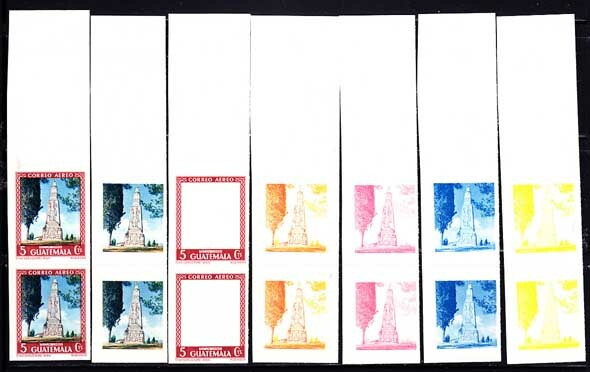 Set of 7 progressive proof pairs including final colors. Scott No C167, Yvert No PA170. Last Mayan king, killed by the Spaniards.